The extra element of this card challenge was to decorate the inside. I usually do something with the inside of my cards so this wasn't too difficult to add to this card. 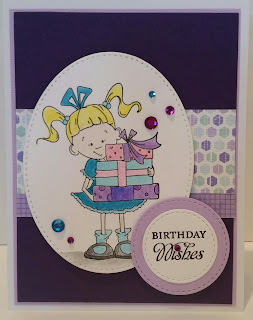 I chose to make a little girl's birthday card for this one using Birthday Lulu from Kraftin' Kimmie Stamps.